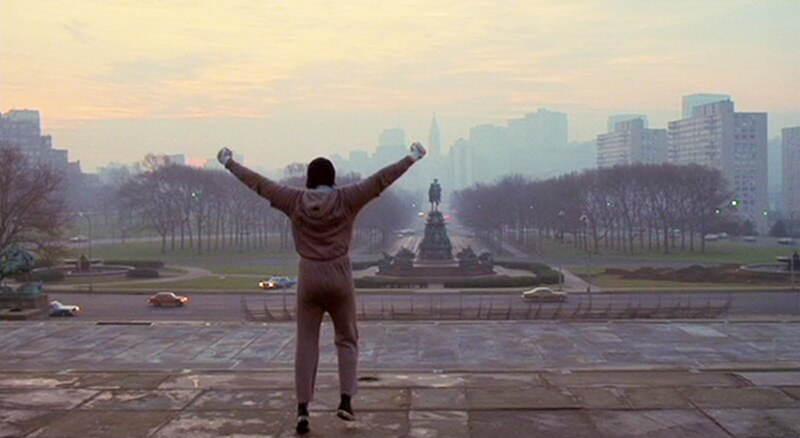 Earlier this week Rocky was on TV, and I got to share parts of it with my 7-year-old daughter for the first time. She would flit in, cuddle up next to me for a little while, ask me a question or two, watch, and then go skipping out of the room. At one point she asked me, "Who's the bad guy in this movie." As a kid, my answer would've been Apollo Creed. I thought about her question, and I knew that wasn't the right answer. Apollo's an antagonist, but he's no villain. He's just a guy who's looking to make a buck and keep the business he's created around his talent moving forward. As we kept watching I explained to E there are some stories where the hero fights a villain, and there are some stories where the hero fights against nature to survive. Then there are some stories where the hero fights himself. She gave me a funny look when I said that, so I explained. "Look at Rocky. He's a guy who fights, but this story is about how he gets ready to fight. He has to train, and he has to break bad habits, so he can be ready to fight Apollo. Rocky would never be ready to beat him if he didn't take care of all his habits and attitudes that were holding him back." Rocky: I dunno... she fills gaps. Rocky: I dunno, she's got gaps, I got gaps, together we fill gaps. As a kid this scene slipped past me, this was a movie about boxing then. All of the Adrian stuff was time I could run around the house in my Superman Underoos. Or maybe it was just cut from the TV edits when I was a kid because Paulie asks Rocky if he's "ballin" his sister. We've all got gaps. Home is where our friends and family help us cover them.